Conti today announced it has been selected by Palmetto Railways for the first phase of work on their multi-million dollar industrial development. 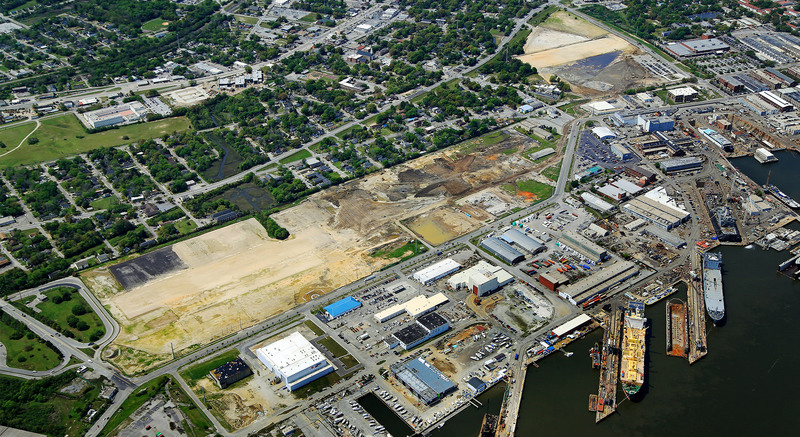 The project is for the Intermodal Container Transfer Facility near the former Charleston Naval Complex in North Charleston, South Carolina. The initial phase by Conti will include demolition and surcharge on roughly 130 of the nearly 300 acres owned by Palmetto Railways. The $12.6 million initial demolition project work is scheduled to begin in mid-2015. Palmetto Railways, 2015 Short Line Railroad of the Year, provides safe, efficient and cost-effective rail solutions to facilitate the movement of freight and support economic development efforts in South Carolina. Palmetto Railways’ goal for this project is to redevelop portions of the former Navy Base as a rail service to its customers. Palmetto Railways will provide connectivity to both Class 1 carriers CSX and Norfolk Southern. This project coincides with South Carolina’s overall strategy for upgrading one of the nation’s busiest ports, the Port of Charleston. The Palmetto Railways’ project will tie into many of the state’s current in-progress upgrades, including the new South Carolina Ports Authority Navy Base Terminal, the South Carolina Department of Transportation Port Access Road and Charleston Harbor Deepening Project. Conti seeks to play a prominent role in South Carolina’s infrastructure projects throughout the upcoming decade. “We are excited to help bring these vital Charleston Port upgrades with our work for Palmetto, and we look forward to further opportunities to improve South Carolina’s transportation systems,” says Kurt Conti, Chairman of The Conti Group.